I just finished The Black Madonna and I enjoyed the story and the historical aspects of the book. I am wondering if the Madonna Luciano had as part of the agreement with his uncle is a particular Black Madonna? How did you get the idea to use that? What is the backstory of the Madonna? I bought the book because of the title and kept wondering how the title fit into the story line (unless I missed something in the book). I would love to hear more about that aspect of the title and story. No, I don’t think you missed anything but equally, there really isn’t that much more to add that wasn’t in the book. The Madonna had been in the Falcieri family for generations and, though intrinsically valueless, had become the symbol of the family’s luck – until Luciano’s father took it with him to England. Naturally, it’s worth a lot to Uncle Vittorio and he wants it back badly enough to loan Luciano a spectacular sum of money in order to get it. The actual Madonna is as described … small, unadorned obsidian; and as to where the original idea came from … I honestly can’t remember. One thinks of many, many things whilst plotting a book of this complexity. All I can tell you is that Genoa (from whence Luciano’s family comes) is full of small statues of the Virgin Mary in all manner of locations, not just in churches – so perhaps it was that. I’ve just read The Parfit Knight and The Mésalliance and I wanted to thank you for writing such great stories. I’m really looking forward to The Player and I’m happy to know there are other books in your backlist. Just a little correction for the use of the word “sadistic” in The Mésalliance. Even if the characters were Sade’s contemporaries, that word is anachronistic for that period. Thank you for your comments and I’m glad you enjoyed the books. The audios are brilliantly read by Alex. Even if you aren’t into that form, go to Audible or Amazon and listen to a sample. Thank you for your prompt reply. Next month doesn’t seem so far away-I’ll keep my eyes peeled! Viv. I do hope that your reply to Corinne doesn’t mean that Lords of Misrule has gone onto the back burner! Having got into March I was hoping to have concrete news of it before long. What it is to suffer demanding readers!! Viv. The final stages of Lords of Misrule has been delayed somewhat by audio related stuff but hasn’t been halted completely. I’m just completing the second edit and am still hoping to put it on pre-order at Amazon early next month. Hope this alleviates any suffering! I really don’t know how I missed your books in my younger days, since I devoured English historicals over almost any period! However, having found your books on Amazon, for Kindle, I want to thank you unreservedly for such wonderful storytelling, seamlessly mixing fiction with historical fact. I assume that there was some rewriting for the Kindle versions of your books, but I would be interested to know if this was the reason for the Maxwell family being mentioned in ‘A Splendid Defiance’, which I believe was written in ’85, whereas ‘Black Madonna’ was written seven years later? Having read that the fourth book in this series will be available to preorder soon, I am looking forward to reading Eden Maxwell’s story – how could your heart not bleed for him? – although I have only just started ‘Garland of Straw’ [I read ‘Marigold Chain’ first, then ‘Black Madonna and ‘A Splendid Defiance] and so I still have a few of your books to immerse myself in. Thank you again for hours of absorbing reading – and teaching me something about the English Civil War period, which I thought I knew reasonably well but thanks to your books have found that I didn’t know that well at all! Thank you for your comments – and I’m glad you’re enjoying the R&C series. Yes, I made some extensions and revisions to the books when issuing them in e-format and linking the Maxwells to Defiance seemed an obvious choice given the time-frame and location. At present, as you may know, I’m occupied fairly exclusively with my new venture into audiobooks, the second of which will be out soon. Later this year, I am hoping that A Splendid Defiance will also be transformed into audio, narrated by the extremely talented Mr Wyndham. My recent news (which you seem to have missed!) is a venture into audio with my Rockliffe series. The Parfit Knight, narrated by Alex Wyndham, is currently available from Audible, Amazon and i-tunes and Alex is currently working on The Mesalliance which will follow in a few weeks. As for the Civil War books, Number 4 – Lords of Misrule – is near completion and should be released in the spring. Thank you for your interest. Fantastic Fiction (like many similar sites) do their own thing. I have alerted them to the fact that my page is out of date and incomplete but have no idea whether or not they’ll do anything about it. Perhaps readers like yourself addressing them directly might have more effect? We poor authors have little or no control. Hi Stella, Re your visibility – you could update your bio (including this site) on the Fantastic Fiction site maybe? Even though it includes your other noms de plume (if that’s correct French?) it really doesn’t give enough information about your backlist. “Marigold Chain” is the only one apart from the first 3 set in the Civil War to be mentioned. For those who like the lighter side, and are more accustomed to reading Regency stories a blurb re Rockliffe et al might be an idea. The site does have reference to other novelists in that genre. Regards Margo. PS I did mean the earlier comment about proof reading – though I did make a couple of mistakes in my hurry – my keyboard isn’t as sensitive and if I don’t look back I later find missing letters! Actually I updated my bio here on WP fairly recently when we gave it a new ‘look’. I’ll take another look at Fantastic Fiction – though I seem to recall adding info there isn’t easy. However, I’m currently having a website built along with other marketing tools so we’ll see what happens. Meanwhile, I would suggest you keep an eye open on WP – there’s some very exciting news due soon. Very interesting, Stella. As you know it is because of Caz that I found you – I still can’t believe I missed you the first time around. I’m so happy you’ve got your mojo back! Thanks for visiting, Wendy. I’m still looking for ways to make this site more visible – it’s amazing how many readers still haven’t found it yet. At present, Eden’s story is roughly 75/80% written so no, sorry but I can’t predict a release date yet. I will be putting it on pre-order at Amazon but it’s unlikely to be before March/April time. Meanwhile, keep an eye on my site here at WP. I’m hoping to announce some quite different but equally exciting news soon. Yes – it’s a lot to retain. However, Lilburne (as I’m sure you know) didn’t die until 1657 but is out of commission, as it were, for the duration of my current book which is covering the period from December 1653 to a so far unspecifed point in 1655. I agree with Margo about the kicking. But he does seem to have pulled himself up by the bootstraps in Falcon, we just didn’t get to see it happen. I suspect (and I might be wrong) that one reason for the preoccupation your readers have with Eden is that although he needs his only story but we also want to know more about what happens to the other characters that surrounded him in the Madonna and Garland. Sam and Bryony (end of Garland left me wanting to know what happened to them even if Sam has obviously been released by the time of Falcon), Phoebe (in particular) is a delightful character, as is Felix/Toby and (sadly) Freeborn John. I do look forward to (hopefully) following them further and possibly more about Venetia and Gabriel. You can certainly look forward to meeting Gabriel and Venetia again in the next book – also Toby, Tabitha, Dorothy, Jude & Mary. Unfortunately, Lilburne was imprisoned immediately on his return to England in 1653, put on trial, acquitted of ‘any crime deserving death’, returned to the Tower and then sent to Jersey for safekeeping. This is why there’s no possibility of him cropping up on my pages – except in brief reference. Hi Stella – I’d like to add that thanks to your books giving me an interest in the period I’m now doing an online course through Oxford University AC on England 1640-1660…what a complex period it was. First time I’ve used my brain in years so thank you! On a totally separate issue – having read The Player a couple of times can I look forward to a story about Nicholas Wynstanton and the alluded to possible romance?! Good luck with your Uni course. 1640-60 is a great period in English history and I’m sure you’ll enjoy the complexities. As far as The Player is concerned, I can only say ‘maybe’ at this stage. I’m stuck in the writing-cave with Eden and daren’t look outside yet. It’s certainly a thought, Margo – though not one I had. Still … who knows? Thank you! I’ve spent the past few weeks acquainting myself with your Regency romances and Roundhead and Cavalier books, and am most seriously pleased. Eden Maxwell’s story I am sure will not disappoint. I’m glad you’ve been enjoying the books. Eden’s story is progressing and is now about half-written but it’s still too soon for me to be able to predict a release date. Thank you for taking the time to contact me and for your comments. Your remark about giving Eden a swift kick gave both my husband and myself a good laugh. Though naturally I am delighted that so many readers are besotted with Eden, I am vaguely baffled by their continued devotion. With regard to Marcus Sheringham, I realise that you are right and that obviously I should have re-read the previous works whilst writing The Player. As for your kind offer to proof-read, perhaps you might contact me on my g-mail address for more private discussion. Hi Stella, I yelled with delight when I found you on Amazon, having only old, battered copies of your books and spending many frustrating hours in second hand bookshops looking for titles I didn’t have. I have loved all of your books as it is your style of writing that I enjoy. As for heroes I would have to say that for me Justin just about edges out Alex. Great to have you back! Thank you, Kate. You are the first person to vote for Justin – and I’m glad you like Alex because recently, a couple of readers have taken a real dislike to him. Oddly enough, Gabriel Brandon is coming out slightly ahead so far – but it’s early days. Congratulations on writing and publishing on Amazon. Aside from the achievement, I hope it’s going well for you. I’m honoured that you found my books some sort of inspiration. Reading something you like and feel you could try it yourself is a nice way to start. I began when I read something particularly dreadful and thought, as so many of us do, ‘I could do better than that!’ … and was then motivated to try. Meanwhile, I’ll look out for you on Amazon. 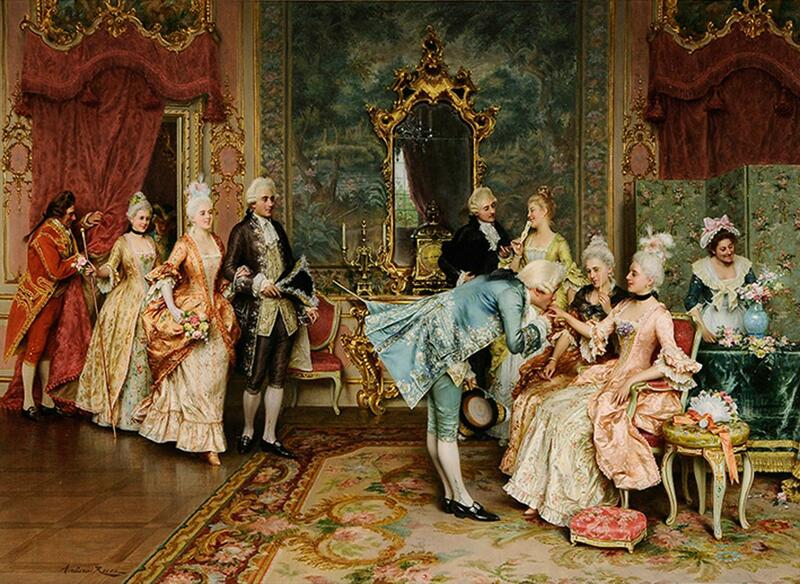 Hi Stella, I’m trying to persuade Regency Romantics to sample Roundheads and Cavaliers – why is it that there are thousands of RR novels and so few about Cavaliers and Roundheads? Keep writing Stella – you are a bright star in a dark sky! Thank you, Paula – that is so kind. Part of the problem is that the English Civil War doesn’t play well in America – which, of course, is a huge market. Also, sites reviewing historical romance novels tend to shy away from historical fiction; and such sites also concentrate largely on high-profile writers – of which I am not one. But I do really appreciate the encouragement I receive from people like you. On days when the words just refuse to flow, it makes the fight worthwhile. I’ve read all your ebooks in a rush over the last week and a half – so enjoyable! I find your balance of history and romance hits the perfect spot. Thank you for giving me some really wonderful reads! “The Marigold Chain” is my #1 favourite, I think. Good luck with writing Eden’s book – can’t wait to read it whenever it’s available, and I hope you’ll be writing more books after his, too! I’m glad you’ve enjoyed my books and thank you for your kind remarks. I find it interesting that your favourite is The Marigold Chain. On the whole, it’s received as much criticism as praise and I seem to recall one of the most recent reviewers taking a real dislike to Alex Deveril – so it’s good to hear from someone who (I presume) liked him. I have a handful of authors whose work I consider “keepers”and yours certainly ranks among them. I enjoy books that make you think about what you are reading and see how the same event is perceived by the different characters. Your books remind me of those written by Dorothy Dunnett, they are rich tapestries of people both real and imaginary and the fascinating times in which they lived. Whether they are set in the upheaval of the English Civil War or the lovely decadence that is Georgian England they are wonderful to read and I look forward to your next books. Thank you for your extremely kind remarks and I’m glad my books give you pleasure. It’s also nice to hear from someone who enjoys both series – generally, I find it’s either one or the other. Actually Gabriel is my favourite of your heroes but I might be out of sync with the majority of your readers. Just as an aside though (and this might be taking us into a far future which you might not yet be ready to consider) would you contemplate writing another Civil War novel after Eden’s story? I note that Lords of Misrule is due to end up in 1656/7 but there are a couple of really interesting years between that and the Restoration that I feel your deft hand could make much of. You’re not alone in liking Gabriel best. I just get the impression that Eden is the general favourite because so many readers have asked for his story. As to a further ECW book after this one – I daren’t think that far ahead yet. On the other hand … you never know. Hi Sarah, I like Gabriel too. He was my ‘first’ of Stella’s hero and the one i have returned to most! Justin Ambrose is now right up there with him though. Hi Paula and Sarah, Gabriel is my favourite as well (so I must be out of sync too! ), followed by Justin, although I am now rather fond of Adrian of The Player fame. I have a feeling Eden will give them a run for their money. I enjoy everything you write. You have a wonderful, flowing writing style and a rare facility with language. Having just finished and greatly enjoyed ‘The Player’ – loved the East Kent names and setting as I live in Herne Bay – I too have been reduced to re-reading old favourites and have just finished (my second or third reading) your re-written ‘Mesalliance’. It is such a well-constructed, satisfying book with deftly-drawn, totally memorable characters, a triumph of the genre. I don’t think many writers would be able to produce both ‘light and heavy’ as you have done so successfully and am certain that the Eden book will be worth all the hard work on your part and the long wait on the part of many readers. I don’t normally do Amazon reviews but am about to make an exception in your case. Thank you for your kind comments. I’m glad you enjoyed The Player with the whole East Kent bit. Some of my earlier books (eg A Splendid Defiance, The Black Madonna and Garland of Straw) were set largely in the areas where I lived at the time of writing – and, having moved to Sandwich just a year ago, it was a real pleasure to have the opportunity to feature this neck of the woods. If you care to post a review of any of the books you have read, this would be greatly appreciated as it helps both me and future readers. Eden is not currently cooperating as consistently as I would like but I hope to pull him into line soon. Just thought I’d drop in and say a quick ‘thank you’ for the painstaking research you do for your books (though I suspect you enjoy the research as much as the writing!). I’ve spent the last two weeks reading the Rockcliffe series and the first in the Roundheads and Cavaliers series, and I am so thrilled to have found a new (to me, anyway) author with whom I can spend all of the time I should be spending on grading essays and cleaning my house. I had exhausted my known reservoir of books that pass the ‘dude’ test (i.e., if I can replace the words ‘my lord’ with ‘dude’ at any time and it doesn’t sound anachronistic, I stop reading–very low standards indeed as the well runs dry), so I was more than a little pleased to have found your deliciously long, meticulously researched, exquisitely written novels. Your books are such a great escape, and the characters you create are welcome specters that take a good long while to fade from my psyche. Your extremely kind comments have improved what began as a less-than-promising day immeasurably. Thank you! 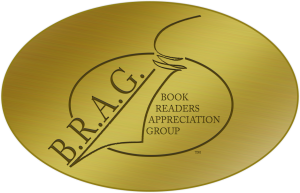 You seem to be one of only handful of my readers who has enjoyed both the Rockliffe series and the Civil War novels. Most people like one or the other – usually finding one too light and the other too heavy. Since you are clearly a very literate lady, if you cared to post a review on any of the books you’ve read so far, I’m sure that would be great help to other readers – not to mention being enormously appreciated by myself as I struggle dementedly through the very early stages of Eden Maxwell’s story. With regard to your remarks about the difficulty, despite the huge number of books available, of finding something that satisfies rather than irritates – that is a feeling I know only too well and have recently been reduced to re-reading old favourites. Once again, thank you for taking the time to get in touch. Just finished Garland of Straw. So. Good. My favorite so far, in fact. The trial of King Charles…fantastic! I left a more coherent (I think) review on Amazon. Thanks again! Sorry for the delay in replying to you – I’ve been on holiday for the past week. Thank you for your comments. I’m glad you enjoyed Garland and will look forward to reading your review. I just finished The Player & really enjoyed it. Will Nicholas get his own book? Yes, there’s a possibility that Nicholas will get his own book – if and when I finally finish the frequently requested happy ever after for Eden Maxwell. I’m pleased that you enjoyed The Player. Perhaps you’d care to review it? Hi Stella – thanks for writing such great books; I have now read all of them. As an Australian, it sparked my interest in the English Civil War, a sadly neglected part of my history education – we did the Tudors to death. TO DEATH. I was so interested I bought the “By the Sword Divided” TV series, which I thought was really well done for the time (acting and sets have improved since! ), and went on to read all of Pamela Belle’s books, scrounged from eBay. I reguarly check back on this forum and saw “The Way to the Lantern” was mentioned – naturally I bought it and I LOVED IT. So funny! What a find! I can’t believe I’ve never heard of it before. Thanks so much for the tip. While we’re all waiting for the next installment, would you consider posting up a link to your methadone list of all-time favourite books to read in the interim??? Thank you for getting in touch and I’m glad you have enjoyed my books. You’ve obviously been on a bit of a Civil War ‘binge’ as a result. Like you, I did the Tudors for A level but the 17th century is a much livelier period with a fantastic cast of characters. My favourite books of all time? Well, you’ve already read one of them and, for the rest, I’ll have to think about it. Working along similar lines, I was considering putting something on this site asking readers to vote for whichever of my heroes they liked best – but since I suspect Eden Maxwell will win hands down, it hardly seems worth it. Writing something like The Player is obviously much easier and quicker than writing one of the Civil War books – so it was almost like a little holiday. I’m glad you enjoyed it and are now in the happy position of choosing between Ashley and Francis. If you have the time, a brief review of either book is always greatly appreciated. Hi Stella – it took me less than a day to read “The Player”, and I think I enjoyed it the most of the Rockcliffe series, perhaps because Adrian seems more modern in his ideas than, for example, Rockcliffe himself. Although I like this series, and I can understand why you like writing something a little lighter, I’m really looking forward to Eden’s story. I’m currently rereading “King’s Falcon”, and falling in love all over again with Ashley and Francis! Like Alexis, I am a new fan. I recently saw a reference to one of your books on a blog and decided to try it. That led me to read all your eBooks currently available from Amazon and WOW. I loved every one of them. I especially love how well the secondary characters come to life. I am looking forward to The Player and Eden’s story. I just finished The Marigold Chain and was wondering if you had ever written or considered writing a story for Giles Beckwith? If you have written his story, will that book ever be available in eBook format? Will there be other stories from your backlist available in the future? Thank you so much. Thank you for your kind remarks. To answer your last question – I’ve now released as many titles from my back-list as I intend to. The only one lurking in obscurity – and destined to continue doing so – is Lucifer’s Champion which, as you’ll see from earlier responses, presents too many problems to be worth the trouble. With regard to Giles – I’ve no plans in that direction but wouldn’t rule it out as anything is possible. At the moment, of course, the priority it Eden’s story – and that will take some time to complete. I hope you enjoy The Player. There will be a piece on it at Romantic Historical Reviews on Saturday, followed later on by a full review. Hi Stella! I’m a recent addition to your fans and have just arrived back into the world of the living after binging badly for a couple of days on your kindle republications. I still have books 2/3 of the civil war series to go, but I’m just here to gush about you. A lot. I haven’t read books of this caliber, and in this setting, in a long, long, LONG time. Really I can’t thank you enough for writing these books (also for the dashing Justin and Luciano), and my heart just took a flying thump when I realized that you are writing Eden’s book too. I’ve been procrastinating (for days!) on my assignments by reading your books, so I promise to leave reviews on GR after I’m done – but mostly I hope that you’re inspired to keep writing. It’s always a pleasure to hear from a ‘new’ reader and I’m delighted that you are enjoying the books. I worry about your heart’s ‘flying thump’ in respect of Eden’s story because, at present, that book is still in the planning stages and will be some time coming – though hopefully not another twenty years! Meanwhile, if you exhaust the Civil War series and don’t mind something a little lighter (and shorter) you could try my Rockliffe series. Book 3 – The Player – is due for release very soon. As for you posting reviews – these are always welcome, so thank you. Hi Stella, have just found out about the new ebooks! Will you be adding Lucifer’s Champion in this format? Sorry – no. I’ve been asked this quite a few times but remain convinced that there are too many problems with Lucifer to make it worthwhile. I hope The Player will make up for any disappointment! I did stop writing for quite a long time and, when I started again, it was really only with the intention of re-publishing my back-list. However, once that was done, feedback from readers such as yourself gave me the nudge I needed to carry on and write the long-delayed third part of my Roundheads & Cavaliers series. As for The Player … the idea for that has been lurking at the back of my brain since I re-worked The Mesalliance. I hope you enjoy it – and thanks for getting in touch. Hello Stella, that all makes perfect sense to me – I too tend to read around a subject, individual biographies and specific incidents interesting me most. All historical, of course – late medieval to early 20th century mostly. Thank you so much, Kate. I had fun with The Player – just something a little different. Eden, of course, it another matter and at the moment it’s just a slog through some fairly heavy and detailed books. About a dozen of them, to be precise. Until I have the history firmly laid out in my head, I can’t begin to construct the story … if that makes sense? Hello Stella, I had discovered The Player was available and have consequently pre-ordered it, and started reading the Parfait Knight again! Am really looking forward to Eden’s story though, best of luck with the research. I would just like to thank you for the hours of pleasure I have had whilst reading your books. I particularly enjoy the characterisations of the protaganists in all your books and love the way you draw all the strands together. No, I hadn’t heard anything about a new museum – so thanks for telling me. As you say, Newark is an appropriate location what with Rupert’s famous relief of the place when it was under siege and also the King fleeing there when Oxford was under threat etc. The Player is now available for pre-order. Hope you enjoy it. Hello Stella – I am so glad you are writing another book in the Rockcliffe series, I very much enjoyed the Parfait Knight and Mesalliance and look forward to more. Just as an aside I caught a news item in the East Midlands about a Museum due to be opened this ‘spring’ in Newark dedicated to the civil wars (1603-1688). I wondered whether you had heard about it? It seems appropriate really as Bolsover Castle is not far away which was home of the Earl of Newcastle. These are very good questions – to which I have no answer whatsoever! As I’ve just said to Vivienne, the Rockliffe books are my way of taking it easy yet still writing something. Another book in the Rockliffe series (or indeed any new book)… whoopee! Thanks Vivienne. I hope you enjoy it. To be honest, I turned to Rockliffe for a bit of light relief before tackling Eden Maxwell – for which I’m just starting the research now. I get the impression that your own books are doing pretty well – congratulations. 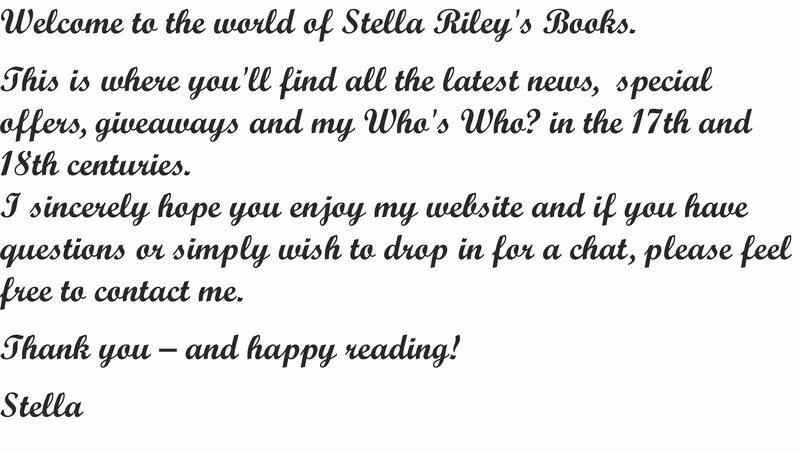 Thank you, Stella, for your kind words about my own writing. And I’m sure I’ll enjoy the Rockcliffe light relief, even as I eagerly await the return of Eden Maxwell (a distant, if imaginary, kinsman perhaps?). Hi Stella I was having a poke about on Amzon and discovered you were there after all these years. I leaped off the sofa shouting Calloo Callay oh frabjous day, and then bought all of them. My copies of the. Black Madonna, The Garland of Straw and A Splendid Defiance are in the nearly read to death category. I did once manage to get the library to locate A Parfit Knight, but the others were Not Available , not even on ABE Books. I too never allowed my precious paperbacks off my bookshelf. I have some others like that… Ira J Morris’s The Troika Belle and The Fortune Hunter both of which turned up in the Hospice Shop and Speculation Miss by Francesca Martin. Elizabeth Goudge is also beginning to appear. Welcome back. I couldn’t. be more thrilled. And there is another on the way… Hurray. I would love to hear more of Luciano and Kate…my favourite characters. Thank you for your kind remarks. As you are probably aware, the original print versions have undergone some revision and/or extension during the course of their transformation into e-books. This is particularly true of The Mesalliance which was cut to the bone in it original incarnation. You will notice changes to the other titles as well – and I hope you enjoy them. If you do, a brief review is always both helpful and welcome. I understand exactly what you mean about never letting books that will be difficult to to replace out of the house. I once loaned someone my copy of The Way To The Lantern by Audrey Erskine-Lindop, didn’t get it back and spent years trying to acquire another. Now I have two of them! The next book in the Rockliffe series will be available for pre-order quite soon. I’ll be announcing exactly when and giving further information on this website. have just finished reading the Kings falcon on my new kindle (Christmas present). So glad you are back writing again. I had just been re-reading your other books prior to Christmas. Enjoyed the Falcon but since i have both Garland of straw and Black Madonna ( the latter picked up while on holiday in Australia) I still think of Tobias and Tabitha as Felix and Felicity. i loved Francis and Pauline combo. Are you going to write another about Eden Maxwell… I want to know what happens to him and his family ???? Perhaps would have liked a few more links back to England in the Falcon . Thank you for getting in touch and for your various comments. I’m glad you enjoyed Falcon and particularly liked the relationship between Francis and Pauline. Those parts of the book were good fun to write – and also amazingly easy. Yes,I do plan to write Eden’s book – though this will take some time as I’ll have to do the research (1653 to 1656/7) before I can begin it. Enjoy your new Kindle and best wishes for the New Year. Of course I remember you! After all the additional help you gave me, how could I not? Also, there are some teachers who are extra-special and you were definitely one of those. I’m sorry to hear about Mr Haslam. He is another teacher I always think of with affection. I hope you are well and enjoying retirement and am delighted you got in touch. I’m glad you remember me. I own two books, The Marigold Chain and The Black Madonna (signed by you) and have borrowed others from libraries. And yes I have read them. You may not know that Mr Haslam died last year. But I am still keeping an eye on you!! Glad you are still using your talents to good effect. It’s so nice to hear from you. I wouldn’t imagine that any of my output is particularly your cup of tea – but have you read any of them? This is the point where I have to pay tribute to Mr Haslam. No doubt you remember him? He’s the man responsible! The many things I learned from you came in handy when I was teaching and even handier on the amateur stage. I have just finished reading The King’s Falcon and I, too, have left a review on Amazon. I was thrilled when I discovered you had written a sequel to Black Madonna and Garland of Straw. It was a brilliant read and impossible to put down. Such a fascinating period of history that you have brought vividly to life and such wonderful characterisation – especially Francis and Pauline. Thank you so much for bringing me so much pleasure. I’m glad you enjoyed Falcon and thank you for posting a review. I was particularly pleased that you liked Francis and Pauline because they took on a completely unexpected life of their own during the creation process and I had a lot of fun going along for the ride as they wrote their own scenes. Thank you for letting me know that you enjoyed ‘Falcon’ – and even more for leaving a review and recommending my work to others. Not being a very high-profile author, this kind of appreciation means a lot. I’m currently working on something new but think I’d better wait a while longer before revealing what it is. Thank you for The Kings Falcon, I loved it. It has been a real treat to have something new from you to lose myself in for the last few days, familiar in one way with the characters, the style of writing and period detail but new and exciting at the same time. I have left a review on Amazon and am always telling my friends to discover you. Since I found you again, I read A Splendid Defiance when it was first published, I have thoroughly enjoyed The Marigold Chain (love Chloe) and The Mésalliance as eBooks. I do hope you write another story and thank you again for coming back! Thank you for your kind comments. The image of anyone padlocking tatty copies to the shelf made me smile – but I know what you mean. I once loaned and never got back a copy of possibly my favourite book ever (The Way To The Lantern by Audrey Erskine Lindop), since which time I’ve picked up no less than 3 second hand copies which are never let out of the house. If you’ve read the Kindle editions of my back-catalogue, you’ll have noticed some changes which I hope you found added rather than detracted. I hope you enjoy ‘Falcon’. I certainly enjoyed writing it. And if you cared to post a brief review for any of my books, it would be greatly appreciated. Hi Stella, I grew up reading your books – they’ve been the subject of much book thievery between myself and my sisters over the years, with each of us practically padlocking our precious, much read and tattered copies of the Black Madonna, Garland of Straw, Parfit Knight and the Marigold Chain to our bookshelves, jealously guarded. I can’t tell you how delighted I was to see them come out on kindle. I’ve re-read every one and now to find a NEW Stella Riley book – it’s a dream come true! Can’t wait to read the King’s Falcon, it’s my treat of 2014. Please do keep writing!! !